R.A.D. 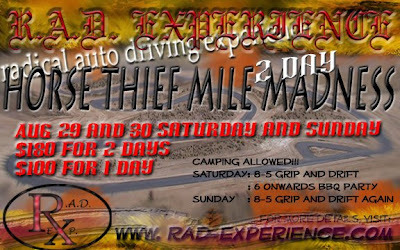 Experience's Horse Thief Mile 2-Day Madness!!! Bring lots of tires cause you're gonna burn alot!!! Sunday : 8-5 Grip and Drift Again!! !